From Felix Dodds on September 2nd, 2015 on the future of UN activities and who might be the Secretary-General charged with implementation. ‘The next UN Secretary General will be…’ The beginning of the media buzz. The blog Felix Dodds did on who the next Executive Director of UNEP should be seemed to go down well with my readers. Though I did think I missed a potential candidate in Christiana Figueres, Executive Secretary of the UNFCCC, who will finish at the UNFCCC after the Paris Climate meeting and therefore be available. I was contemplating doing a blog about who the next UN Secretary General should be for the beginning of September, but I see that the New York Times and Slant have beaten me to it. Of the two declared candidates, both have extensive experience in the UN, but only one is a woman. So, Irina must – at this point – be seen as the front-runner of the declared candidates. It’s also true to say she has done an excellent job dealing with the withdrawal of its financial commitment of the US from UNESCO in 2011 and the funding crisis that has caused. She has supported staff and managed to keep the organization active in many areas. If it were to go to Africa, then the candidate that seems to have some support is Ellen Johnson Sirleaf – the 24th President of Liberia and Africa’s first democratically elected female Head of State. She’s serving her second term as President after winning the 2011 presidential election. She also co-chaired the UN Secretary Generals High level panel that brought forward some great suggestions for what the SDGs should be in 2013.
and Federica Mogherini (Italy), current High Representative of the Union for Foreign Affairs and Security Policy, the European Union’s foreign minister both would also be strong candidates. Labels: Alicia Bárcena Ibarra Dalia Grybauskaite Danilo Türk Irina Bokova Kristalina Georgieva Michelle Bachelet, Vesna Pusi? and Vuk Jeremi?, also new UN Secretary General UN Secretary General election 2016. You’ve made very clear that she would be an outside but in reality, surely no chance for President Sirleaf surely? She would bring real gravitas but isn’t 78 quite old to be starting an 8 year term. .. and in implementing reform, making the UN fit for purpose, and advancing the SDGs while reversing climate change and building climate and disaster resilience, we need a “Super woman’ selected through a new process and therefore having a greater public buy in than ever before. The blog I did on who the next Executive Director of UNEP should be seemed to go down well with my readers. I have to say I am getting bored with armchair journalists and academics who think they know better than 193 countries, thousands of NGOs and experts. So I am going to try and make this the LAST comment on an ill informed article….but i cant promise it. As the SDGs start to be promoted there is the need for good graphics. This is the best one i’ve seen so far for the 5 P’s that are in the preamble to ‘Transforming Our World: The 2030 Agenda for Sustainable Development. Bringing the ?SDGs? to life: real change for real people video by IIED. Time for all of us to be creative – Nice contribution from IIED. Are there any other creative ideas out there? If so send them to me at felix[at felixdodds.net and the best i’ll promote here in the blog. With the next meeting of the Inter-agency and Expert Group on SDG Indicators (IAEG-SDGs), in Bangkok 26-28th of October they have opened a consultation on the development of a global indicator framework for the Sustainable Development Goals. I had missed Bjorn Lomborg’s article in the Guardian “These are the four SDGs we need to agree on to help the planet” in the section sponsored by Business call to Action. We now have an agreement and a very good name for the agreement it will be called ‘Transforming Our World: The 2030 Agenda for Sustainable Development.’ This was important because of the ongoing discussion in the negotiations of taking poverty eradication out of sustainable development. Well who would have expected me to be writing another blog about another final text? Governments return at 11am Sunday to try and finish the negotiations on the Post 2015 Development Agenda. I myself left on Friday assuming it would finish then and went to see Mission Impossible last night. Love the new preamble YES YES YES People need to read the SDGs and their targets and not a summary in a preamble. Bracketing Therapists – As the negotiations are coming to an end on the Post 2015 Agenda you must be worrying what you will do with all that time you now will have. Part 2: NGOs such as Save the Children and Corporations —- Tuesday also saw a very good article in the Guardian which raises some very serious issues relating to Save the Children’s relationship with the corporate sector. This is a reproduction of the Guardian article written by myself and Michael Strauss ‘The year of negotiating precariously’ in the Guardian on the 23rd of July 2015 which can be read on the Guardian web site. New Book Governance for Sustainable Development: The Post-2015 Agenda is an unprecedented effort that embodies universal aspirations for achieving a better, more just, equitable, peaceful and sustainable future. Representatives from 193 governments and multiple stakeholders, from all sectors, have actively participated in its creation. Below is the CSO response to the Addis Ababa Action Agenda. As very little changes have happened in the txt relating to sustainable development and sustainable development goals. My criticism of that text stands. Refraining from intervention in Venezuela is even more important to the US then Hands-off in Syria. Venezuela is in the US immediate backyard and available are negative memories like Guatemala, Chile, The Dominican Republic. 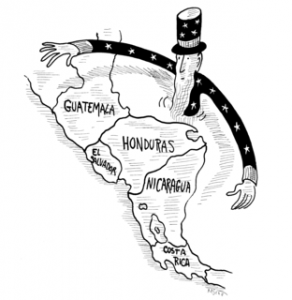 By: Larry Birns, Director of the Council on Hemispheric Affairs (COHA), Washington DC. Contributor: Lauren Foiles, Research Associate at COHA. Jaua stated that the Embassy officials had been visiting universities under the false pretenses of granting students with visas, however he charged that “at bottom that is a cover to establish contacts with leaders who they recruit for training, for financing and the creation of youth organizations through which violence is promoted in Venezuela.” This most recent expulsion mirrors those of September 2013 when Maduro announced on state-run VTV that he was expelling three U.S. Diplomats, similarly charging that, “They have 48 hours to leave the country…Get out of Venezuela…Yankee go home. Enough abuses already.” This marks the third time in less than a year that President Maduro has expelled American diplomats under the allegations of supporting opposition factions to insight a coup. While the names of the three-expelled diplomats have yet to be released, the U.S. State Department has publicly and adamantly denied the accusations. Meanwhile, the Twitter account of the U.S. embassy in Venezuela continues to be active and has tweeted that it will continue to operate normally and has no plans to suspend operations. UNFCCC Executive Secretary Dr. Christiana Figueres spoke at the New York Americas Society/ Council of the Americas about COP20 in Lima, Peru – December 1-12, 2014. She told her Americas audience that 2014 is the LATIN YEAR in the Climate Change negotiations. Ahead of the 20th United Nations Climate Change Conference (COP20) to be held this year in Lima, Americas Society/Council of the Americas hosted UNFCCC Executive Secretary Christiana Figueres, the principal voice on the international climate change negotiations, on Tuesday, January 14, 2014 from 5:30 p.m. to 7:00 p.m.
At the November 2013 UN Climate Change Conference in Warsaw, governments took a step toward a new, universal climate change agreement said Ms. Figueres in her presentation at AS/COA, Ms. Figueres addressed the concrete steps that must be taken in 2014, which will pave the way for the 2015 conference in Paris, where a new global climate agreement for the post-2020 period is to be adopted. With 195 Parties, the United Nations Framework Convention on Climate Change (UNFCCC) has near universal membership and is the parent treaty of the 1997 Kyoto Protocol. The Kyoto Protocol has been ratified by 192 of the UNFCCC Parties and its ultimate objective is to stabilize greenhouse gas concentrations in the atmosphere at a level that will prevent dangerous human interference with the climate system. Christiana Figueres was appointed executive secretary of the United Nations Framework Convention on Climate Change (UNFCCC) by UN Secretary-General Ban Ki-moon in 2010 and was reappointed for a second three year term in July 2013. Ms. Figueres has been involved in climate change negotiations since 1995. Americas Society (AS) is the premier organization dedicated to education, debate and dialogue in the Americas. Established by David Rockefeller in 1965, our mission is to foster an understanding of the contemporary political, social and economic issues confronting Latin America, the Caribbean, and Canada, and to increase public awareness and appreciation of the diverse cultural heritage of the Americas and the importance of the inter-American relationship,” it says. Investor Summit on Climate Risk at UN Headquarters – 15 January 2014 – co-hosted by the UN Foundation, UN Office for Partnerships,and Ceres. In that room were insurance company and re-insurance companies and other investors – and I was told that about $13 Trillion were represented there. The talk was that $1 Trillion will be invested in clean energy – this is an economics must. Christiana Figueres – on a panel that included the relentless Timothy Worth who as maverick Senator was part of the US “B” (the Senate) delegation to the Rio 1992 Conference and now heads the UN Foundation that was created with a one Billion US Dollars by Ted Turner, and Mr. Orr representing the UN Secretariat. The agreed conclusion was that INVESTORS OUGHT TO MOVE OUT OF HIGH-CARBON ASSETS. Financing Solutions for Clean Energy in Latin America,” which seems to be a – Microfinance Panel: Financing Solutions for Clean Energy in Latin America. Why this enhanced interest of Latin America in Climate Change? Is this only because of Brazil that over-extended itself in these topics? Brazil was host of the Rio 1992 Conference that introduced Environment and Development into the routine lingo of the UN as a double helix of Sustainable Development. They were hosts to creation of the high-level product AGENDA 21 and the three conventions – on Biodiversity, Desertification, and Climate Change. But the majority of the Developing Countries were not ready for it yet – they just wanted DEVELOPMENT – read INDUSTRIALIZATION – and professed not to be the address for Global Sustainability. The Developed/Industrialized States on the other hand thought that the whole concept was just a give-away to the poorer Nations – something that the established ethics thought to take care of with simple hand-outs of Foreign aid – not an issue of rights.Sustainable Development just did not work in practice. Then we had the stale-birth of the Kyoto Protocol in 1997, and the answer five years later – the Millennium Development Goals. 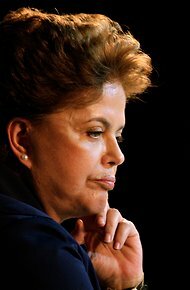 After another 10 years, at the Rio 2012 meeting, Brazil stepped into the breach again, and with excellent diplomacy, and got rid of the Sustainable Development Commission establishing a new debating platform that will channel its activities to a new Agenda – the post 2015 Global Agenda built on a set of Sustainable Development Goals. Part of this process is anchored in Paris at a COP21 meeting of the UNFCCC. To get there we have the Lima, Peru, meeting of 2014 – and that is the last chance for Latin America to have an impact. So, here we get to the Latin Year of which Costa Rican Chrstiana Figueres wants to take advantage of, and she is lucky in many respects. The UN stars seem to line up in her direction. The idea was to have the 2014 UNFCCC meeting in Latin America and at first it was Venezuela that wanted to host the event. In parallel they also wanted to be at the UN – the G77 leaders this year. Bolivia decided to contest both posts. Bolivia won the G77 position – but with the strong opposition from the US to both original candidates – it was Peru that got to be the location of the COP with Venezuela hosting – as a consolation prize – the last preparatory meeting. That is how this year’s Latin UN stars are Bolivia, Peru, and Venezuela. – See more at: www.sustainabilitank.info/2014/01… these are the three Latin stars and Americas Society has the chance to be the New York City host to this year’s events. Considering the central place of Bolivia in all of this – them speaking for the ALBA group – the micro-finance answer to the mega-finance of the UN makes sense as well and the Latin Year might turn out to be an ALBA year to be followed by a Developed & Already Emerged Economic States at the Paris Summit with the real power to lead. Hooray! At the UN the CSD is Dead – LONG LIVE THE NEW HIGH-LEVEL POLITICAL FORUM – A Main Outcome of the 2012 RIO+20 To Help Finally Implement The Original RIO UNCED. New York, 9 July— United Nations Member States agreed today to establish a new High-Level Political Forum to boost efforts to achieve global sustainable development that will improve people’s economic and social well-being while protecting the environment. The decision by the General Assembly follows up on a key recommendation of ‘The Future We Want,’ the outcome document of last year’s Rio+20 Conference in Rio de Janeiro. The Forum will convene annually at the ministerial level under the auspices of the UN Economic and Social Council and, every four years, it will bring together Heads of State to provide added momentum for sustainable development. The High-Level Political Forum will replace the UN Commission on Sustainable Development. The Commission, formed after the 1992 Earth Summit, helped generate action on a range of issues that led to international agreements or treaties. The Commission was also in the forefront in promoting the involvement of civil society in its work. However, governments and civil society actors came to share a belief that a higher-profile body was needed to guide sustainable development towards the future we want. The Forum will review progress in the implementation of sustainable development commitments, enhance the integration of the three dimensions of sustainable development—economic, social and environmental –focus on themes consistent with the post-2015 development agenda and ensure that new sustainable development challenges are properly addressed. The General Assembly resolution stresses the need to enhance the role and participation of major groups of society and other stakeholders, while retaining the intergovernmental character of the forum. The first meeting of the Forum will be held in September, during the Assembly’s forthcoming 68th session. Cinco de Mayo – President Obama and Mexico. At home in Washington an opinion is being built that the US ought to refrain from any further involvement in the Middle East and strengthen itself on the home front. This means settling with those now illegally in the US who are mainly from South-of-the-border, and build a new Green Future with South and East Asia. President Obama makes his fourth visit to Mexico and continues on to Costa Rica on what is also his sixth visit to Latin America. On this journey, the President hopes to highlight and reinforce the deep cultural, familial, and economic ties that so many Americans share with Mexico and Central America, and to promote economic growth across the region. On Monday, the President met with Latino leaders who work both domestically and across borders to enhance social and economic development. The President heard various perspectives on how to strengthen collaboration in the region, further develop our economic relationship, and ideas for how the hemisphere can fit into broader strategic priorities. He emphasized that the long term trends in the hemisphere are clearly moving in the right direction, with growing middle classes, declining poverty and inequality in much of the region, and countries such as Mexico, Brazil, and Colombia taking a more active global role. On Friday at the White House,business representatives offered strong support for measures intended to facilitate global and hemispheric trade, such as the Trans-Pacific Partnership. They highlighted the growing importance of the energy sector throughout the Americas and the need for infrastructure improvements to facilitate cross-border trade. The President made clear that immigration reform continues to be a top legislative priority this year; business leaders agreed on the need to enact commonsense immigration reform as quickly as possible. The meeting also underscored that increased trade throughout the region translates into jobs and growth here in America. Over the next three days, the President traveled to Mexico City, and San Jose, Costa Rica. We hope you will follow @whitehouse, @lacasablanca and @nscpress for live updates from the President’s trip or get more information about the trip here. On Friday, in Mexico City, President Obama spoke of what he considered a changing country — one making more headlines lately for economic optimism and potential political reforms than the drug cartels and organized crime violence that have claimed about 65,000 lives over the past six years. The trip came as Mexican President Enrique Peña Nieto shifts his new administration’s focus to economic and social matters, instead of fixating on security — which analysts say remains a serious issue in many regions of the country. President Obama promised to promote immigration reform — an important issue for Mexico, which has more than 10% of its population living in the United States. He also pledged action on guns, many of which flow south from the United States and are used to commit violence in Mexico. Following a 24-hour stay in Mexico President Obama continued to San Jose, Costa Rica. He was received by Tico astronaut Franklin Chang, Foreign Minister Enrique Castillo, and U.S. Ambassador Anne S. Andrew.The official welcome ceremony was held at the Foreign Ministry in downtown San José, where Obama met with President Laura Chinchilla – he, Chinchilla, and members of her Cabinet, held a bilateral meeting with the U.S. delegation. The stop in Costa Rica was the safest stop the US could have chosen in Central America these days. Now back home, and the above trip must be seen in relation to Washington – Congress and Lobbyists. We posted already about the US need to find a reasonable solution to the so called illegal immigrants to the US who are target to the various police levels and criminals in the US and Mexico systems. Most of them are also cheap labor because they are undocumented aliens, afraid to complain, and thus they are being exploited by US employers. They are a low paid working force in the US and a means to destroy the organized economy. This must come to an end as part of the reconstruction in US government policy. But this is just the beginning. The GPS program of Fareed Zakaria on CNN today – Sunday May 5th, 2013, was all about a basic “Reset” of the US. First let us explain the need to step out from the Lebanon-Iraq-Syria morass – the three countries of the Levant with a minority rule of which the Christian Maronite minority in Lebanon and the Sunni minority in Iraq have already been deposed, and only the Alawite minority in Syria was still left hanging on to power. [The Alawite are a Shi’ite subsect that makes up 12% of the population, but it also draws some support from other minorities–Druze, Armenians and others–who worry about their fate in a majoritarian Syria. These fears might be justified. Consider what has happened to the Christians of Iraq. There were as many as 1.4 million of them before the Iraq war. There are now about 500,000, and many of their churches have been destroyed. Christian life in Iraq, which has survived since the days of the Bible, is in real danger of being extinguished by the current regime in Baghdad.] These situations were impossible to defend and the US entered situations of civil war destined to end with the minority loosing power. No sense what-so-ever for the US to allow itself be dragged into the Syrian internal war as well. If the objective is actually to reduce the atrocities and minimize potential instability, the key will be a political settlement that gives each side an assurance that it has a place in the new Syria. That was never achieved in Iraq, which is why, despite U.S. troops and arms and influence, the situation turned into a violent free-for-all. If some kind of political pact can be reached, there’s hope for Syria. If it cannot, U.S. assistance to the rebels or even direct military intervention won’t change much: Syria will follow the pattern of Lebanon and Iraq–a long, bloody civil war. And America will be in the middle of it. With the Middle East pushed thus to the backburner – Fareed Zakaria’s team on GPS could focus on what is really important and achievable for the US Administration – the fixing of the US Home. The US must deal with the Financial Sector – this is done by looking at the infrastructure, the education system starting with day-care centers, and the immigration bill as well. Then focus on Asia. The immigration bill must be presented as a win-win rather then a loosing platform. There are three scenarios for allowing the legalization of these illegal people living in the US underground. Legalizing them will create new tax-payers and new income for the Social Security Taxes. But they will also help bringing aboard their employers who will start paying taxes as well. The growth rate will increase by 1% and the average GDP by $1,500. This alone will give a jolt to the US economy. Fareed Zakaria had two great teams on his program today – Richard Haas of the Center on Foreign Relations and Princeton University’s Anne Marie Slaughter covering the political side, and then Rana Faroohar of the Economist and Gillian Tett of The Financial Times on the economy. Then, to top it all a direct interview with Salman Rushdie who has been an immigrant twice – first from India to London then from there to the US. He had the gift of gab to express all of the above and tie it up neatly. The two economists had no problem agreeing among themselves. So let us summarize the day – The US will be brought back into balance by allowing a settlement of its tens-of-millions illegals and bringing them into the positive circle of tax paying residents with rights to an education, health, and freedom to move up the jobs-ladder. As we wrote earlier today, in addition the settling of bringing in new professionally needed immigrants as requested by the Silicon Valley CEOs will help bringing back jobs that go now overseas because the skills are not available in sufficient amount in the US. When people will start earning more, they will be able to afford new housing and eventually new demand will help growth. Then, again as we recently wrote, with non-fossil energy becoming more competitive, with a little further push, the US will clearly be able to embrace the green economy which again will lead to further savings by avoiding environmental damage and health problems. OH my! We just described the NEW AMERICAN REVOLUTION that starts with a friendlier look South-of-the-Border, arching to the true Orient and landing hard on those who opposed a betterment of the US economy by serving a 1% of the population aided by quite a few more naive followers that could not figure out by themselves that they were being had. With the passing of Hugo Chavez, time has come to re-evaluate the reasertment of a Latin American identity that he helped create. It went well beyond being a “Pink Tide” and ought to remind Washington that when the issue was the Malvinas, the Latins were united against the Anglos. We remembered the Wikipedia posting en.wikipedia.org/wiki/Pink_tide that first came to our attention when we discovered that we were listed a reference to it. Today we decided to bring it up because of the twin events – all of Latin America mourning the passing of Hugo Chavez, and the Heritage Foundation asking that the Obama Administration back the British claim to the Falkland Islands, because it is British colonialists that live now there, but under the “Las Malvinas” name are considered Argentinian territory by the States of Central and South America..
As such the following article by the Heritage Foundation does not make life of the United States any easier in its location at the Northern half of the Western Hemisphere. We are talking about the back of a United States being torn between Asia and Europe, and made insecure because of wrong moves in its own backyard. 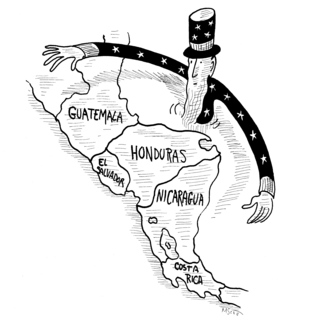 Hugo Chavez was a product of wrong US handling of its Southern neighbors, . and the Heritage Foundation posting does not try to make it easier for the US. Oh Well – we know – it is again about oil and the grabbing of resources as if they are there for the taking. The United States Should Recognize British Sovereignty Over the Falkland Islands. By Luke Coffey, Theodore R. Bromund, Ph.D. and Nile Gardiner, Ph.D. The Heritage Foundation, March 7, 2013. In order to assert their inherent right to choose their own form of government, the inhabitants of the Falkland Islands will hold a referendum on March 10–11, 2013, to decide whether they wish to maintain their allegiance to Great Britain. Britain has administered the Islands peacefully and continuously since 1833, with the exception of the two months in 1982 when the Islands were invaded and illegally occupied by Argentine forces. The Obama Administration has backed Argentina’s calls for a U.N.-brokered settlement for the Islands and so far has refused to recognize the outcome of the referendum. This policy poses serious risks to U.S. interests and is an insult both to Britain—the U.S.’s closest ally—and to the rights of the Islanders. To read more, the entire paper can be found here. 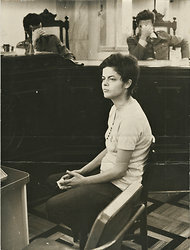 Pink tide (a derogatory phrase coined by US press used less commonly than the more clear Turn to the Left) is a term being used in contemporary 21st century political analysis in the media and elsewhere to describe the perception that Leftist ideology in general, and Left-wing politics in particular, are increasingly influential in Latin America. In 2005, the BBC reported that out of 350 million people in South America, three out of four of them lived in countries ruled by “left-leaning presidents” elected during the preceding six years. According to the BBC, “another common element of the ‘pink tide’ is a clean break with what was known at the outset of the 1990s as the ‘Washington consensus‘, the mixture of open markets and privatisation pushed by the United States”. The Latin American countries viewed as part of this ideological trend have been referred to as “Pink Tide nations”. While being a relatively new coinage, the term “pink tide” has become prominent in contemporary discussion of Latin American politics. Origins of the term may be linked to a statement by Larry Rohter, a New York Times reporter in Montevideo who characterized the election of Tabaré Vázquez as leader of Uruguay as “not so much a red tide…as a pink one.” The term seems to be a play on words based on “red tide” (a biological phenomenon rather than a political one) with “red” – a color long associated with communism – being replaced with the lighter tone of “pink” to indicate the more moderate communist and socialist ideas gaining strength. ^ a b c d  Institute for Policy Studies: Latin America’s Pink Tide? This page was last modified on 7 March 2013 at 00:05. Cultural survival in an era where governments turn to extract resources in areas inhabited by aboriginal people – the true indigenous pre-colonial people – the Non-UN-Member communities. The impulse for the founding of Cultural Survival arose during the 1960s with the “opening up” of the Amazonian regions of South America and other remote regions elsewhere. As governments all over the world sought to extract resources from areas that had never before been developed, the drastic effects this trend had on the regions’ Indigenous Peoples underscored the urgent need to partner with Indigenous communities to defend their human rights. Cultural Survival was founded to help Indigenous Peoples in their struggles for human rights, sovereignty, and autonomy. recorded poems about the armed conflict in Spanish and their native Mayan languages. Leading the workshop was Alberto “Tino” Recinos (Mam), Cultural Survival’s citizen participation coordinator, who ran the guerilla radio station Voz Popular during the armed conflict. Recinos founded a community radio station after the signing of the Peace Accords in 1996. Below, read one of the poems written by ex-combatant Rigoberta Gonzalez Sul, and member of the radio station Radio Ixchel. Written in Spanish, the poem is a call to women to be strong in the face of the traumas they experienced in the war. Indujo a la mujer en el silencio y traumas. en su identidad y valores. Rompamos el silencio, alcemos nuestras voces libremente. in their identity and values ?Women, Stop. No more violations of our human rights. Let’s break the silence, let us raise our voices freely. Throughout the 1970s, Cultural Survival’s original founders David Maybury-Lewis (pictured right with Xavante elder Sibupa), Evon Vogt, Jr., Orlando Patterson, and Pia Maybury-Lewis functioned out of a space made available by Harvard’s Peabody Museum. The organization was incorporated in 1972 as a tax-exempt NGO in Cambridge, Massachusetts. Since its inception, Cultural Survival has been at the forefront of the international Indigenous rights movement. Cultural Survival’s work has contributed to a revolution of empowerment for Indigenous Peoples around the world. In the first years Cultural Survival launched a publication program consisting of the Cultural Survival Newsletter and a series of Special Reports which eventually became the Cultural Survival Quarterly. Cultural Survival also introduced its annual bazaars, which display and sell Indigenous arts and crafts. In the 1980s and 1990s, Cultural Survival created an economic strategy in order to bargain with governments who were ready to clear cut rainforests. Cultural Survival Enterprises (CSE) became a non-profit trading division that developed and marketed products generating income for Indigenous people who were struggling to protect their lands and traditions within rainforest regions. Cultural Survival Enterprises, spearheading the Fair Trade movement, was launched to help Indigenous groups receive a greater profit from their sold goods, however, after considerable debate among the board and staff and due to complications with the supply, it was decided to no longer support this program. Ellen L. Lutz became director of Cultural Survival in 2004 and transformed the organization over the next six years, strongly emphasizing human rights and advocacy areas in which she had an international reputation. For 25 years, Cultural Survival labored with many Indigenous activitst to win United Nations adoption of the Declaration on the Rights of Indigenous Peoples. Ellen played a key role in helping shepherd this long process and on September 13, 2007, the UN General Assembly adopted a visionary text that set the global standard for how governments must treat Indigenous Peoples. An offshoot of these efforts, Cultural Survival started partnering with Guatemalan nongovernmental organizations to create a thriving network of over 200 community radio stations across Guatemala, many of which broadcast in one or more of the country’s 23 indigenous languages. The stations offer news, educational programming, human rights and health information, and traditional music, all reinforcing pride in Mayan heritage. In 2007, Cultural Survival turned its attention on the much-needed revitalization of critically endangered Native American languages. Cultural Survival partnered with tribal governments, foundations, corporations, and businesses to persuade the United States Congress to fund legislation providing federal support for language immersion programs. In 2009, Ellen oversaw the merger of Cultural Survival and Global Response. Global Response, a nongovernmental organization, directs campaigns to protect Indigenous rights all around the world. Global Response has developed relationships with Indigenous communities in order to help them stop government abuse and exploitation of their lands and natural resources. Suzanne Benally (Navajo and Santa Clara Tewa from New Mexico) is the current executive director. Benally was the associate provost for institutional planning and assessment and associate vice president for academic affairs at Naropa University. She was a core faculty member in environmental studies and a member of the president’s cabinet. A possible Sustainability target at the UN – the Convening of a Convention in 2014 that Would Replace old Bretton Woods. Bhutan calls for a mindful revolution at the United Nations. Bhutan’s Prime Minister Jigme Thinley (left) and Costa Rican president Laura Chinchilla at the UN, via AFP. The monks of South Asia have been chanting on behalf of the happiness and well-being of all creatures for 2,500 years. Now, the spirit of those mantras has marched out of the monastery and into the streets, even into the halls of the United Nations. Calling for nothing less than nonviolent resistance against the failed global economic system, the tiny Himalayan nation of Bhutan, sandwiched between India and China, took to the world stage last month by leading a “High Level Meeting on Happiness and Well-Being.” Its recommendation: Replace the Bretton Woods economic paradigm, imposed on the world by the United States in the wake of World War II, with an entirely new and inherently more just system. The prime minister of Bhutan, Jigme Thinley, called on the people of the world to demand a change. Scholars, Nobel laureates, political actors, U.N. officials and staff, and spiritual and civil society leaders, many from the Global South, affirmed that the current system serves neither the human community nor other creatures on the planet. Most of the 600 in attendance shared Bhutan’s vision. Indian activist Vandana Shiva emphasized the importance of such a basic human need as food, the source of profit for a few and misery for many. As she has noted before, “The poor are not those who have been ‘left behind’; they are the ones who have been robbed.” The current paradigm creates a flow of financial, social, human and natural capital to the United States and other rich nations at the expense of everyone else. Although Bhutan has faced criticism in the past for its treatment of Nepalese immigrants and the jailing of smokers, it has made considerable progress in recent years by establishing a new democracy and implementing creative efforts to measure its citizens’ well-being and happiness. The concept of Gross National Happiness was coined by the former King Jigme Singye Wangchuck, who abdicated in 2006 and set the democratization process in motion. To its credit, Bhutan is setting high standards for itself that may be difficult to reach, but the country is not alone in this endeavor. The official statement that came out of the meeting calls for a new paradigm with four pillars: ecological sustainability, happiness and well-being for all, fair distribution, and efficient use of resources. An unexpected 200 participants remained at the U.N. for two additional days to clarify what the new paradigm would look like, to propose new solutions, and to strategize how to mobilize a global movement in civil society to resist the current one and implement the change. Relevant civil society, educational, spiritual and activist organizations worldwide are being informed about the process, with an eye toward a 2014 convention that would replace Bretton Woods. Widespread civil resistance movements would be a vital component in bringing about a shift toward so radically different a paradigm as this. 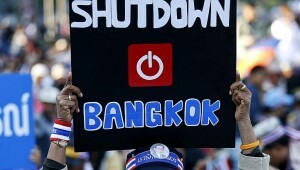 Yet the meeting suggests that insufficient use has been made of the United Nations as a venue by change activists. Despite the U.N.’s obvious shortcomings — for instance, OWS recently protested the influence of corporations on environmental proceedings— it is nonetheless an infrastructure where every nation has a voice, at least in theory. Paradoxically, Global South elites who are also victims of the current economic paradigm provide an entrée into the system for grassroots activists, and this meeting demonstrates that the U.N. can offer a venue for radical critique. But the U.N. will only work on behalf of the people if the people insist that it does and begin to explore the possibilities that it might offer as a space for challenging injustice at a global level. Dutch Rabbi Awraham Soetendorp, a long-time veteran of international meetings, observed that this one had “a different spirit” and that the time was ripe for unprecedented change. His call for a 0.01 percent donation of everyone’s income, especially from the rich nations, was received with enthusiasm by the civil society working group, which is creating a World Happiness Bank (a tentative name) that would promote and model the new economic paradigm. This change will not happen, of course, without the mobilization of a nonviolent resistance movement. That’s where we come in; we have a new opportunity to act against a system that is robbing humanity and its fellow creatures through what the meeting’s statement calls the “private capture of the common wealth.” And we can do so by following the lead of the marginalized. With attention riveted to RIO+20 it is clear that not only the UN Commission on Sustainable Development is in trouble, but also the process that was started by the UN Convention on Climate Change is also in trouble and in both cases the G-77 will not hold together as interests are divergent and important elements are obliged to speak for themselves. Bonn Climate Change Conference – May 14-25, 2012 tells us that the while attention is riveted to RIO+20 in effect not only the UN Commission on Sustainable Development is bankrupt, but also the process that was started by the UN Convention on Climate Change is also bankrupt. THAT IS WHY WE SAY FOR A WHILE THAT THE MEETING IN RIO 2012 IS IN EFFECT A RIO MINUS TWENTY. The following is the Analysis of the May 2012 Bonn Meeting as suggested by the Earth Negotiations Bulletin. The Bonn Climate Change Conference took place from 14 to 25 May 2012 in Bonn, Germany. The conference comprised the 36th sessions of the Subsidiary Body for Implementation (SBI) and the Subsidiary Body for Scientific and Technological Advice (SBSTA). It also included the 15th session of the Ad Hoc Working Group on Long-term Cooperative Action under the United Nations Framework Convention on Climate Change (AWG-LCA), the 17th session of the Ad Hoc Working Group on Further Commitments for Annex I Parties under the Kyoto Protocol (AWG-KP) and the first session of the Ad Hoc Working Group on the Durban Platform for Enhanced Action (ADP). Under the SBI, key issues discussed included loss and damage, national adaptation plans (NAPs), and reporting by Annex I and non-Annex I parties. The SBSTA focused on agriculture, research and systematic observation, and methodological guidance on REDD+ (reducing emissions from deforestation and forest degradation in developing countries, and the role of conservation, sustainable management of forests and enhancement of forest carbon stocks in developing countries). Technology and response measures were considered under both the SBI and SBSTA. Under the AWG-KP, the focus was on issues that need to be finalized to adopt a second commitment period under the Kyoto Protocol and for the AWG-KP to conclude its work at the eighth session of the Conference of the Parties (COP) serving as the Meeting of the Parties to the Kyoto Protocol (CMP 8). These include: matters relating to quantified emission limitation or reduction objectives (QELROs) with a view to adopting these as amendments to Annex B to the Kyoto Protocol and carry-over of assigned amount units (AAUs). While discussions under the AWG-KP advanced understanding of these issues, many outstanding questions remain, including the length of the second commitment period under the Kyoto Protocol and carry-over of surplus units. Under the AWG-LCA, parties initially debated the agenda and whether it adequately reflected progress since the adoption of the Bali Action Plan at COP 13 in 2007. After agreement on the agenda, debates continued on which issues require consideration so that the AWG-LCA can finalize its work at COP 18 in Doha. Developed countries stressed “significant progress” and the various new institutions established in Cancun and Durban. They called for a focus on specific tasks mandated by Decision 2/CP.17 (Outcome of the work of the AWG-LCA). Developing countries identified the need to continue discussing issues, such as finance, technology, adaptation, capacity building and response measures in order to fulfill the mandate in the Bali Action Plan. Under the ADP, discussions centered on the agenda and election of officers. After nearly two weeks of discussions, the ADP plenary adopted the agenda and agreed on the election of officers during the final day of the conference. At the close of the Bonn Conference, many felt that the atmosphere had been “tense,” especially under the ADP. They expressed hope that this would not have a lasting impact, putting at risk efforts to rebuild trust in the process over the past two years since Copenhagen and the “delicate balance” of interests reflected in the Durban Package. Six months ago, many delegates left the UN Climate Change Conference in Durban basking in the warm glow of success, imbued with the infectious spirit of “Ubuntu,” or unity and interconnectedness. The conference had agreed on several landmark decisions including: the establishment a new Ad Hoc Working Group on the Durban Platform for Enhanced Action (ADP) and “a process to develop a protocol, another legal instrument or an agreed outcome with legal force applicable to all parties” to come into effect from 2020 onwards; a second commitment period under the Kyoto Protocol; and agreement to terminate the Ad Hoc Working Group on Long-term Cooperative Action under the Convention (AWG-LCA) and Ad Hoc Working Group on Annex I Parties’ Further Commitments under the Kyoto Protocol (AWG-KP) in Doha. Many saw these decisions as heralding a new era of multilateralism and turned to 2012 with anticipation, vigor and purpose. Six months later, the pressure was on delegates in Bonn to live up to the promise of Durban. Delegates faced a heavy workload, including the tasks needed to operationalize the institutions and mechanisms established in Cancun and Durban. Parties also had to try to demystify what it was they had actually agreed to during the waning hours of the frenzied COP 17. However, negotiations in 2012 got off to an inauspicious start and the Bonn Climate Change Conference was marred by mistrust and unabashed posturing. The meeting was almost paralyzed by prolonged procedural wrangling, which many described as “unprecedented.” This analysis will discuss the underlying reasons for the disputes in Bonn and examine the implications for COP 18 in Doha, Qatar, in another six months. Many could not begin to imagine how difficult it would be to begin implementing the Durban decisions. The new platform established in Durban introduced the notions of a “post-2012 or pre-2020” landscape; and a “post-2020” period, that will be covered by the new “protocol, another legal instrument or an agreed outcome with legal force under the Convention applicable to all parties” to be developed by the ADP. The Durban Package, which had been negotiated sensitively to accommodate the myriad of parties’ interests, presented challenges and complexities in Bonn, when parties began the business of interpreting its ambiguous language. For example, while many parties see mitigation as the core of the ADP, some developing countries insisted that all elements, including financing, adaptation, capacity building and technology transfer, should also be central to the ADP’s mandate. For many, enhancing ambition to close the “mitigation gap” was a crucial part of Decision 1/CP.17. The decision establishes that the ADP process for the post-2020 regime shall raise the level of ambition and also launches a post-2012 work plan on enhancing mitigation ambition for all parties. However, the decision does not stipulate when and which body will implement the work plan. While some developing parties supported addressing pre-2020 mitigation ambition under the AWG-LCA, many others insisted on addressing it under the ADP. The reason why some preferred to address enhancing mitigation ambition under the AWG-LCA is that the Bali Action Plan affirms the Convention’s core principles, including common but differentiated responsibilities. This implies that developed countries have commitments, while developing countries only take nationally appropriate mitigation actions contingent on support from developed countries. This level of comfort is missing under the ADP for developing countries. Indeed, the decision adopting the ADP does not include references to the Convention’s principles nor does it make a distinction between developed and developing countries. As one insider highlighted, “some parties have started to panic about the ADP; they feel as if they are walking into a dark room and don’t know if there is anything there or where anything is.” This uncertainty manifested in disagreements over both the AWG-LCA and the ADP agendas. On the ADP agenda, parties ultimately agreed to address two work streams, one on the post-2020 regime and the other on the post-2012 work plan on enhancing the level of ambition. Uncertainties also arose when considering the termination of the AWG-LCA in Doha. Decision 1/CP.17 extends the AWG-LCA’s “mandate for one year in order for it to continue its work and reach the agreed outcome pursuant to decision 1/CP.13 (Bali Action Plan)”, until COP 18 at which it “shall be terminated.” However, Durban left room for different interpretations on how to proceed with the inconclusive work beyond Doha. The lack of clarity on the AWG-LCA termination provided room for discussions on whether the AWG-LCA should finish after the Bali Action Plan was accomplished or if the Bali Action Plan was accomplished by the termination of the AWG-LCA. Some parties, particularly a group of developing countries, wanted to assess the progress achieved toward fulfilling the Bali Action Plan, including some elements that were not agreed upon in Durban but were reflected in a compilation document referred to as “CRP.39,” such as intellectual property issues in relation to technology, rights of Mother Earth, trade, and response measures. Meanwhile, many developed countries wanted to focus on specific issues mandated by COP 17. They highlighted that many issues mandated by the Bali Action Plan had already been properly addressed and forwarded to the permanent subsidiary bodies or other relevant institutions created for that purpose, such as the Technology Executive Committee, the Green Climate Fund, the Adaptation Committee and the Durban Forum on Capacity Building. In Durban, under the AWG-KP track, parties agreed to “decide that the second commitment period under the Kyoto Protocol shall begin on 1 January 2013.” However, it is clear to everybody that to “really adopt” the second commitment period parties will have to agree on its length, put forward QELROs and adopt the necessary amendments to the Kyoto Protocol in Doha. Some questions remain on key issues such as how to ensure a smooth transition to the second commitment period, how to deal with excess units from the first commitment period, how rules can be continued and, in particular, how to continue with the flexibility mechanisms, including who will be able to participate, given that some countries indicated they would not be part of a second commitment period. In Bonn, developing countries reiterated that parties intending to participate in the second commitment period should submit ambitious QELROs in line with the goal of limiting temperature increase to below 2°C. Venezuela vociferously demanded that Annex I parties “show their QELROs” as opposed to pledges. The EU highlighted their submission of QELROs and also called upon his Annex B colleagues to follow suit. Moreover, in order to finish shaping the second commitment period and properly adopt it in Doha, parties have to agree on its length and on the text of the Kyoto Protocol amendment, but negotiations in Bonn did not lead to any further progress in this regard. With so many relevant details to be defined before Doha, developing countries expressed fear that parties are “jumping from the Kyoto Protocol ship” by shifting the focus on the ADP. The EU and other developed countries argued, in turn, that their agreement on a second commitment period under the Kyoto Protocol was based on a transition to a global and comprehensive post-2020 climate treaty to be negotiated under the ADP. If anything, the Bonn session brought to the fore the universally acknowledged fact that the UNFCCC, drafted in 1992, reflects a reality light years away from the 2012 global landscape. Since the negotiation of the Convention, the outlook for many G-77/China members has changed dramatically and resulting tensions from these divergences are increasingly playing out in the negotiating rooms. For several years now, many have been wagering bets on how long the G-77/China tinderbox diplomacy can prevail, when it is evident that many of the members appear to sit uncomfortably around the same table. A discernible chasm was evident in Bonn. As one delegate said, “Members of the group are now washing their dirty linen very publically.” The group did not have a common negotiating position on the ADP and many other issues. Moreover, they had trouble agreeing on fielding one non-Annex I candidate for the position of ADP Chair. As one practitioner explained, the UNFCCC governance structure assumed certain things, including that parties fall neatly into two groups: Annex I and non-Annex I countries. This “binary” dynamic has changed. As one delegate noted: “GRULAC and the Asian Group are the dominant forces but they do not represent the interests of the entire group.” This means that, in addition to the traditional distinction between developed and developing countries, a third category of “emerging developing countries” or “advanced developing countries” may need to be factored into the mix. Ultimately, the specter of having to vote for the ADP officers and the resulting damage to the process proved too much for parties to stomach, and they eventually agreed to a “delicate arrangement,” where the candidate from the Asia-Pacific Group will serve an initial one year term from 2012-2013, with his counterpart from an Annex I party, and the subsequent Co-Chair from GRULAC will serve for a term of 18 months. Many said that creating a voting precedent under the UNFCCC would be difficult, almost unfathomable but, at times during the meeting it appeared as if the taboo would be broken. Bonn demonstrated that, as many have said, Durban was a carefully negotiated package contingent on all elements of the outcome moving forward in tandem. However, what is clear is that parties have a very different perspective of what the future looks like in terms of, inter alia, the ADP’s mandate, how to terminate the AWGs and what to focus on for effectively addressing climate change. As evidenced in Bonn, constructive ambiguity results in uncertainty that can sometimes breed mistrust. This mistrust is often manifested through disputes over procedure and consequently hampers progress. Looking ahead, parties have their work cut out to accomplish tasks they agreed to in Durban. They will need to exercise goodwill, integrity and congeniality in order to deliver on the ultimate objective of meaningful mitigation action for the post-2012 era.